Will altering human genes divide society? Recent advances in biotechnology have brought the prospect of genetically altering human beings much closer to reality. 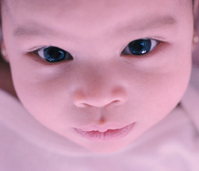 But ethicists argue that altering an embryo's genetic blueprint to make a baby smarter or healthier — or prettier — would destroy what it means to be human. There is also concern that genetically endowing children with selected traits will create a social divide between those who can and cannot afford the procedure. But proponents argue that genetically enhancing people will not devalue their humanity, just make them potentially smarter and healthier. They also dispute the notion of a “genetic divide,” noting that the rich already have a variety of means — from private schools to top-flight health care — to give their children advantages. Recent hearings on Capitol Hill continued the debate.